Seating made of XPS construction boards. The art of customized furnishings made easy. 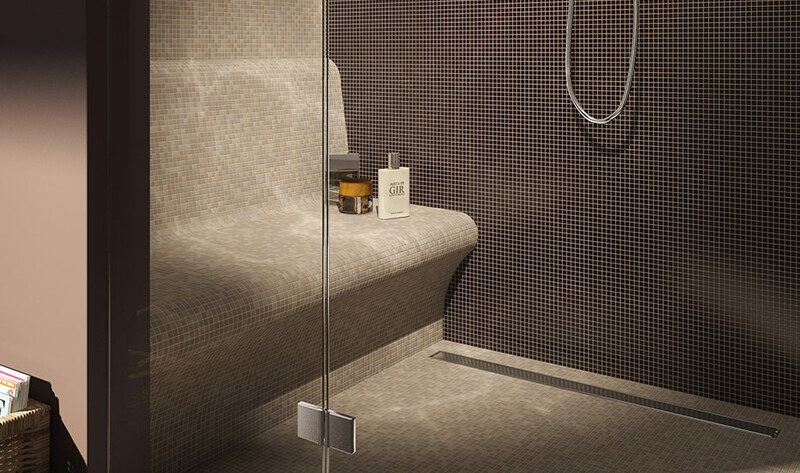 XPS construction boards open up unimagined possibilities for creating bathroom design. Use customized bathroom furnishings and seating to create attractive, modern wellness oases according to individual tastes. 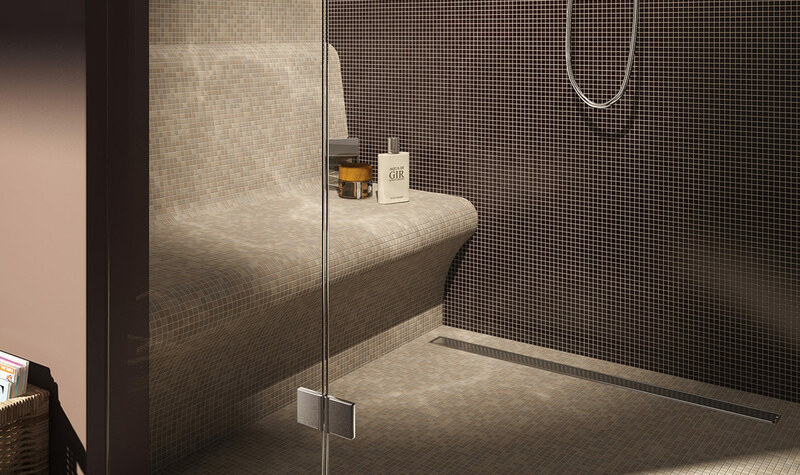 Along with functional bathroom elements, they offer aesthetic design for creating sophisticated bathroom concepts. They enable you to provide custom-made furnishings for seating and reclining with a special wellness feel in both small and large bathrooms. 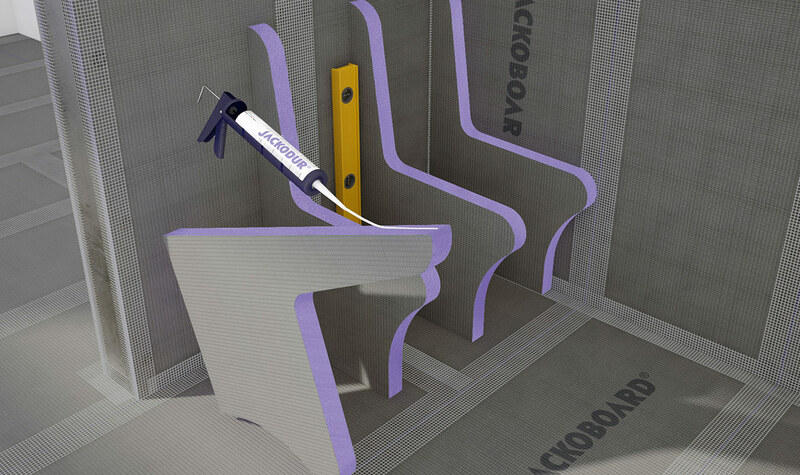 Stable JACKOBOARD® construction boards make it possible to create high quality bathroom furnishings in just a few steps. 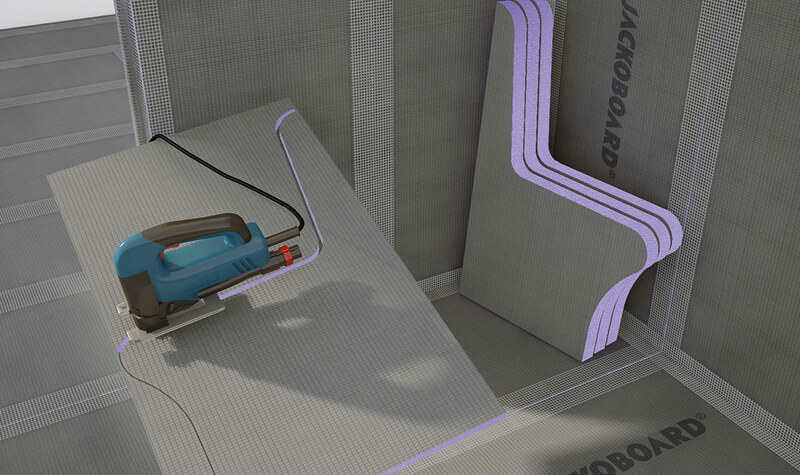 JACKOBOARD® Flexo’s grooved XPS construction board is especially well-suited for creating round shapes and, in combination with JACKOBOARD® Plano construction boards, offers maximum design latitude in every installation situation. In two different formats, this flexible construction board makes it possible to form both small and large radiuses: ideal conditions for realizing customized design ideas. The water-repellent XPS core of the JACKOBOARD® construction boards combines high compressive strength with excellent thermal insulation properties while also making it particularly fast and easy to install the boards using simple tools. Thanks to the surface coating on both sides of JACKOBOARD® products, bathroom furnishings can be finished with tiles, filling compound or plaster immediately after construction, thereby extending creative design latitude even further. 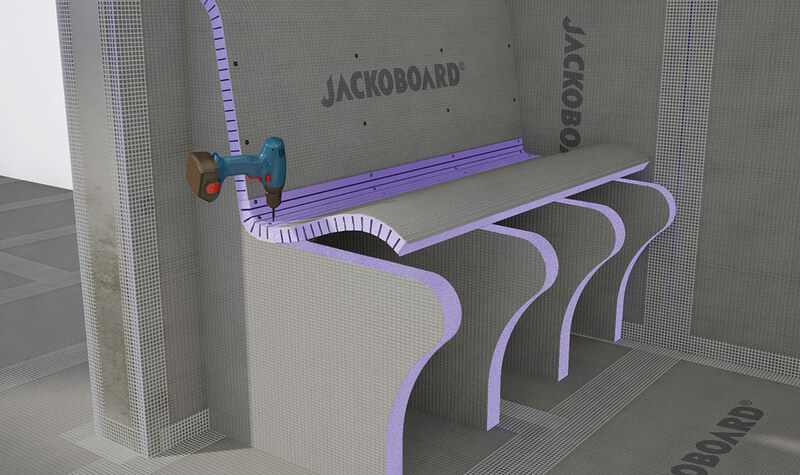 JACKOBOARD - Construction boards for customized bathroom furniture and installations.